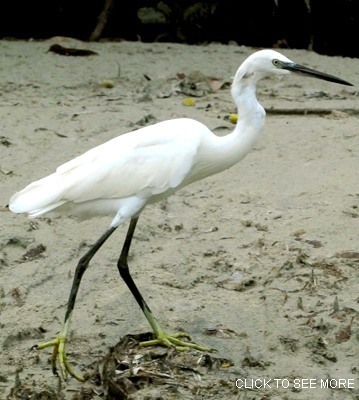 The dimorphic egret is found along the coast in particular where there are coral reefs. The dark morph in the top photo was seen on Mafia Island (7-09), courtesy of Jan van den Hombergh; the immature and 3 light morphs, at Ushongo (11-14), courtesy of Paul Oliver. 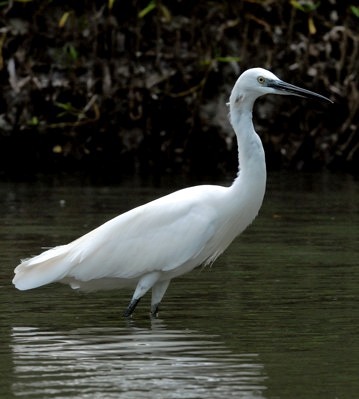 The bird in the lower left two photos was seen in the mangrove swamp at Ushongo (4-10). The right lower photo is courtesy of Daniel Rosengren. 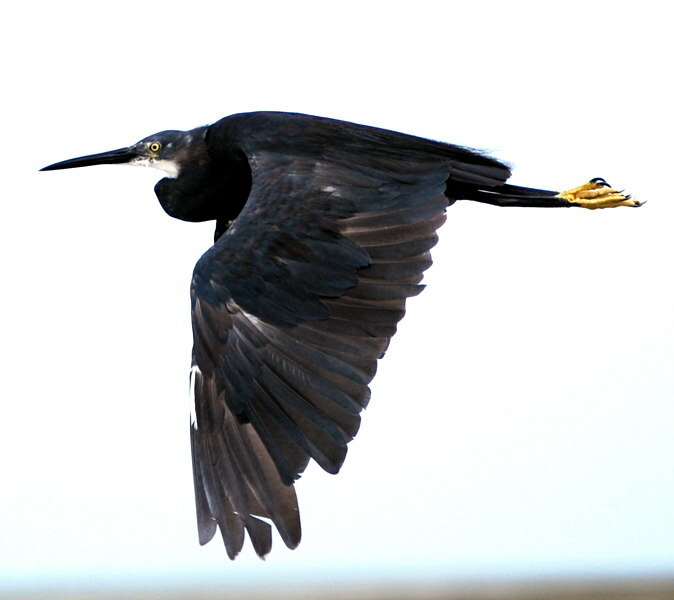 Click the letf photo to see more examples including flight and breeding plumage.